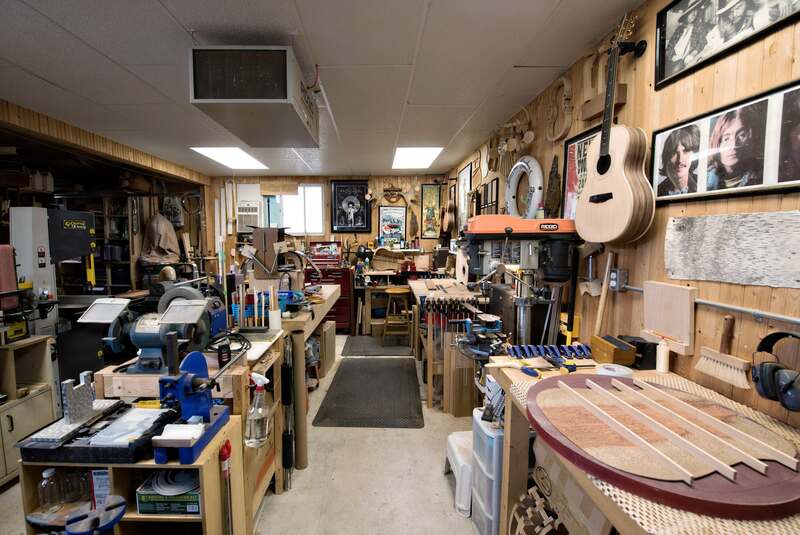 Our workshop here at Harbour Guitars in Port Stanley, Ontario offers all the machines, hand tools and supplies you will need to build your very own, one of a kind, custom acoustic guitar. Building in the workshop is an intimate experience. We provide personalized guidance by limiting the class size to 4 students per course. You will get to use a variety of hand tools and power tools, also learning the proper care and different techniques. We have a very relaxed, inspiring, and fun atmosphere, there is no better place to learn! The Workshop is located one block from the public beach and also steps away from local restaurants and shops for all of your needs. Come stop by!